In the latter half of 1500, Lavinia Fontana stepped onto the art scene in Italy. Meanwhile, her husband worked alongside her in a supportive capacity so she could continue her art. Many of the elite of her day, recognized her skill. Pope Gregory XIII became her patron. 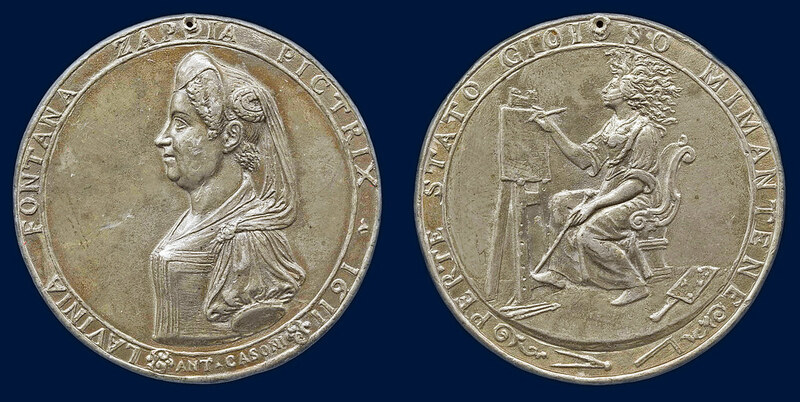 A portrait medal was made of her before her death, and it shows a woman sitting at her easel, and her hair is gloriously unkempt. Lavinia Fontana was born in the mid-1500's and left behind a legacy of her work, and because of the portraits she painted of others, we have a more authentic record of the past. I suspect there have been many women throughout history who made great strides in their life while not placing a large priority on hair styling. Her portraits are also worthy of view if you do a search of Lavinia.